Fitbit's revamped its lineup with the Fitbit Charge 2 and Fitbit Flex 2 bringing along new tech to the fitness tracking party. The Charge 2 ups the stakes in terms of workout tracking and finally offers new analytics for us to sink our teeth into. The Charge 2 looks like an amalgamation of the original Charge and Fitbit Alta. It features a glossy and dominating black and white OLED screen that's four times bigger than the one on the old Charge HR. Featuring a similar texturised finish to the original withe the strap made of a flexible, durable elastomer material; the Charge 2 comes in five colors as standard - black, blue, plum, teal and lavender. Two special editions are arriving soon after launch - black / gunmetal and lavender / rose gold. Similar to the Alta, you can remove the body and place into various other straps. As well as the ones mentioned there are also luxury leather finishes - brown, indigo and pink. The Charge 2 comes in three sizes - small, large and extra large. Now there are a couple of downsides to the model. The Fitbit Charge 2 isn't waterproof like the updated Flex 2, just water resistant, so that's something to consider if you're looking to buy. The Fitbit Charge 2 includes most of the standard Fitbit features including automatic sleep detection, SmartTrack automatic detection of activities and ConnectedGPS, which piggybacks location data from a smartphone for running and cycling (so, not really GPS at all). It also features PurePulse heart rate tracking as standard, so there's no HR and standard variants this time around as per the previous Charge generation. The optical sensor still monitors your pulse 24/7, keeping tabs on your resting heart rate as well as bpm during exercise, but it's now primed to offer new stats to the Fitbit ecosystem. The first is Cardio Fitness Level, which is essentially a VO2 Max score. This is calculated using your age, height and weight, combined with heart rate and exercise data. The next new feature are breathing workouts for mindfulness. By keeping tabs on your bpm, the Charge 2 displays a live visualisation of your heart rate during guided two or five minute exercises. Fitbit says that breathing exercises have a part to play in reducing stress and blood pressure. In terms of sport tracking, the Charge 2 will track running, cycling, hiking, biking, weights, yoga and more - with that SmartTrack tech auto detecting if you've started a workout. You get the usual gamut of notifications from calls, texts and calendar but that's about it. The messages also aren't stored on the device and simply vanish after raising your wrist to read them. It's also a snippet of text rather than the whole message as well so you'll need a smartphone nearby to receive and read in full. There's also no third party support meaning all your Facebook Messenger pings will go un-buzzed when using the Charge 2. 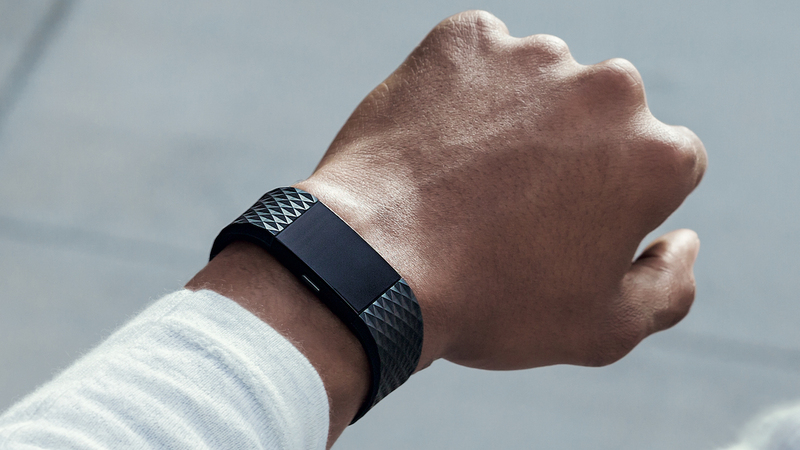 Depending on usage, Fitbit claims the lithium-polymer battery should last five days. Oddly, that lines up with the life of the older Charges despite the Charge 2's larger screen. In comparison, Surge promises five to seven days but in our review, it only made it three days where Alta lasted a little over a week on the promise of a five day battery life. In terms of hardware, the Charge has a 3-axis accelerometer, an altimeter, a vibration motor and connectivity is Bluetooth 4.0. The band can save a week's worth of motion data on a minute by minute basis and daily totals for 30 months before you need to sync with your computer, tablet or smartphone. The Fitbit Charge 2 is available to order now and shipping is expected before the end of September. It costs from $149.99. Additional classic bands cost $29.95, while the special editions are pricier at $179.95. The Charge 2's Luxe leather accessory band options cost $69.95.